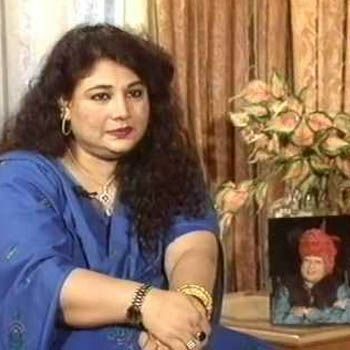 Naheed Nusrat, wife of internationally acclaimed music legend Ustad Nusrat Fateh Ali Khan, succumbed to illness on 13th September 2013 at the Credit Valley Hospital in Mississauga, Ontario. The wife of the late musical maestro had moved to Canada after the demise of her husband and had taken ill since the past one month. She is survived by a daughter. Born in Faisalabad, Nusrat Fateh Ali Khan was an internationally acclaimed Pakistani Qawwali singer who possessed an extraordinary range of vocal abilities. He contributed to and performed in several Pakistani films and later did playback singing for Bollywood. He fell ill in 1997 and passed away in London , England. Naheed Nusrat’s body will be flown back to Pakistan in a couple of days for funeral.